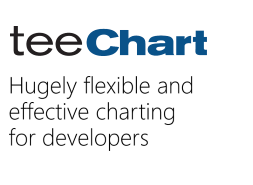 I have a license for TeeChart .NET 2018 Professional. I'm trying to create a demo WinForms project (with Visual Studio 2010 SP1 and .NET 4.0) which uses TeeChart .NET 4.2018.10.1.
added TeeChart .NET for Professional to a Windows Form design surface as described in "WinForms" section (https://www.steema.com/img/content/cstu ... -21-12.gif). After that step licenses.licx file was added automatically to project's Properties folder. added the TeeChart.licenses file to a WinForm project for runtime licensing as described in "WinForms" section (https://www.steema.com/img/content/cstu ... -39-20.gif). So what's the problem and how to solve it? Where I can download that TeeChart for .NET Examples (there is no such demo inside steema.teechart.net.4.2018.10.1.zip)? You can unzip this steema.teechart.net.4.2018.11.27.nupkg using a zip file manager (I use 7zip) and TeeChart.dll can be found under the lib\net20 folder. Following the steps you mention and creating a new project using this new TeeChart.dll should give you a working example. The example you point to is the 'Feature Demo'. I've obtained TeeChart.dll from lib\net20 folder of steema.teechart.net.4.2018.11.27.nupkg, added TeeChart components from that library to Visual Studio ToolBox and after that I've drag-n-dropped TChart component on my Form. BTW: I have old version of TeeChart V2 Pro installed on my PC (Steema.TeeChart.TChart, TeeChart, Version=2.0.2795.29268, Culture=neutral, PublickKeyTolken=9c8126276c77bdb7). Long time ago i've installed it via TeeChartNET2UpdateBuild(2.0.2795.29268).exe and registered it via TeeRegV2.exe utility. Could it be the source of the problem? Do I need to unregister that old version somehow (TeeRegV2.exe doesn't have such functionality)? Last edited by bairog on Tue Dec 11, 2018 8:43 am, edited 1 time in total. I don't know what the source of the problem is. It does seem as though there's a problem reading the registry. Rather than adding TeeChart.dll to your project at designtime, what happens when you create a new project and try to instantiate TeeChart at runtime? You can do this by adding a reference to TeeChart.dll to your project, creating a new instance of TChart and adding it to the Windows Form. Does this work for you? It does seem as though there's a problem reading the registry. Well, all other third-party components that we use in our project work correct.. Creating TChart programmatically at runtime works correct. Adding TeeChart.licenses to the project removes watermark. But what's wrong with design-time approach? UPDATE: I've tried to perform the same steps in Visual Studio 2018 and my project was build succesfully. And after that I was even able to edit and compile that project with Visual Studio 2010 SP1. So looks like that projects which use TeeChart 2018 should be at least created in contemporary IDE's. Last edited by bairog on Tue Dec 11, 2018 10:07 am, edited 1 time in total. So looks like that projects which use TeeChart 2018 should be st least created in contemporary IDE's. Well, I'm glad to see it's now working for you. I will run a test in a clean VM with VS2010 SP1 to see if I can reproduce your issue here. One more question, please: steema.teechart.net.4.2018.11.27.nupkg contains only TeeChart.dll in lib\net20 folder - where can I obtain documentanion file (TeeChart.xml)? As I can see that is online documentation. But I want to have XML-tags in Visual Studio IntelliSence - is it possible? If not - is there offline (.CHM) help file available? Please find the TeeChart.xml file attached. If offline documentation (TeeChart.CHM or something similar) also exists - it will be greatly appreciated. Because online documentation (http://www.teechart.net/docs/TeeChartNET/) lacks search-by-keyword functionality. I've done this and have been able to reproduce your issue - in my case the resolution is to change the target .NET Framework, as by default in VS2010 this is set to 'Client Profile'. Using the full .NET Framework version, not the Client Profile version, the licenses.licx error disappears. You will have already noticed when you unpacked the steema.teechart.net.4.2018.11.27.nupkg file that there is a stand-alone TeeChart_Pro_Net_Tutorials.chm shipped with it. This is the only stand-alone documentation file currently available. Yes, changing target framework from .NET 4.0 Client Profile to full .NET 4.0 solves the problem for me as well. Visual Studio 2010 SP1 is a bit outdated, but you probably should make a remark about this situation somewhere (maybe directly at https://www.steema.com/linkIn/tnetpro_startup in How to add TeeChart .NET for Professional to a Windows Form design surface for WinForms section). Hope to see offline documentation in future versions. Note there is a search option at the top of the page for TeeChart online help (http://www.teechart.net/docs/TeeChartNET/). It may not be quite what you want but it does offer up topics from the Steema library, examples and tutorial pages. Anyway, your comment is noted; that it would be useful to include the library help chm in the nuget package.